The House of Commons has just refused to vote for an inquiry into the Iraq war. Congratulations to the dozen Labour MPs who rebelled and decided to put the interests of the Party ahead of the interests of the Leader. This issue won’t go away. 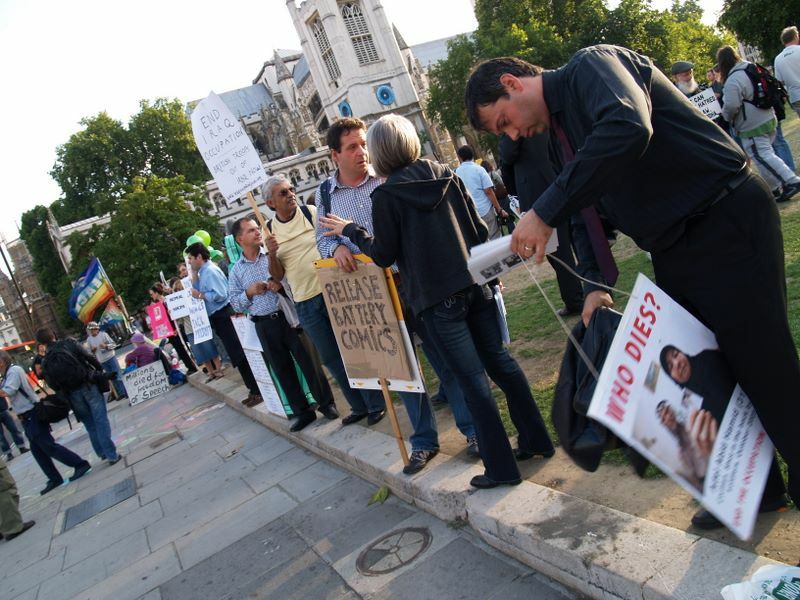 Iraq is not getting safer for Brits or for Iraqis. Hundreds of thousands have died. We need a Labour Leader who will change our strategy in Iraq. It seems as if New Labour is on the run as health workers prepare to lobby Parliament tomorrow. The long predicted exodus of New Labour bag carriers must have kicked in early because the PLP are being given rubbish information to prepare them for the lobbyists. The Government has briefed its MPs in preparation for tomorrow’s NHS Together lobby of Parliament. The briefing suggests that MPs should avoid difficult questions by skipping away to Fantasy Island. MPs are told that Independent Sector Treatment Centres (ISTCs) are reducing waiting times – but not that the NHS is forced to use them even when they are more expensive than using underutilised NHS resources. UNISON has rightly criticised the Government for ignoring the critical conclusions of the Health Select Committee. The Select Committee concluded that claims about value for money from ISTC were unproven and recommended an investigation by the National Audit Office. MPs are told that the Private Finance Initiative (PFI) has led to the biggest ever hospital building programme but not that it forces the NHS to pay over the odds for a generation. UNISON has an easy to understand guide to what is wrong with PFI on the Union website. MPs who want to understand the truth should listen to health workers not Ministers. Don’t take this from me – listen to the General Secretary of the TUC! MPs are also offered all sorts of statistics to show them that there aren’t big job losses and these aren’t hitting patient care. People who know the reality tell a different tale! The Government also tell MPs that they are working closely with the unions. Doh! In that case why would we be having the lobby? Labour MPs who still want to be Labour MPs after the next General Election need to force a change of direction on the Government. If they don’t know how to do this then, as they say in the adverts, I know a man who can. I note with great interest that the world of blogging has been joined by no less a personage than our Prime Minister! Albeit he is posting over at the Euston Manifesto site (that’s the modern day home of “send a gunboat” liberal imperialism for those not in the know). Tony is blogging to tell us all the case for “reform” of our public services. If I think his views are worth noting (bearing in mind he is thankfully on the way out) I may have a proper look. This is a wonderful example of Bair’s (mis)use of language. As I have observed here previously he thinks that reform of public services means privatisation. However his actual words are a statement to which no one could possibly object. And one sure thing about statements with which no one can disagree are that they are pointless. Indeed he nowhere defines what he means by “reform” in any rigorous way. He goes on to argue (at unnecessary length) that society has changed and therefore public services need to change. Doh! Come and do a real job for once in your life Tony and you would find that public service workers are pretty much used to constant change. This begs so many questions. Can we have an informed choice about every public service. Should I, as an individual, choose whether to have my tonsils out or instead to have a vasectomy? Should my children choose whether to study literacy or numeracy? There is an alternative stimulus to improve public services in the public service ethos to which so many public servants are committed – an ethos which Tony will never understand. This ethos is continually undermined by a “choice” agenda which is invariably about “choosing” between providers but almost never on a level playing field for the public sector. Tony then claims that “reform works” and quotes some of those interminable New Labour statistics that so fail to persuade the electorate just now. All in all, a disappointing little essay from someone who has been running the country for nearly a decade. He can’t see the difference between changing and improving public services on the one hand and opening up opportunities for people to take profits out of them on the other. Few blog posts I have read so well make the case for a change of policies as well as personalities as soon as possible. Perhaps it is all a spoof and the Euston Manifesto people are just having a laugh at Tony Blair? I was very pleased to be at the students’ demonstration for free education today – with some young assistants leafleting for the John McDonnell campaign. I try not to think too often about the sheer hypocrisy of New Labour ministers most of whom benefited (as I did) from free higher education and student grants having pushed through top up fees (even if they did get an appalling sell-out of a former General Secretary to front it rather than give the job to one of their public school boys). When I do think about this outrageous betrayal of Labour principles I get angry. UNISON has clear policy of opposition to top up fees and supported today’s demonstration – but will we use our potential clout in the elections for Labour Leader and Deputy Leader to promote our policy, or will we allow damaging rumours to spread that senior people in the Union want to support Johnson for the Deputy position? Parliament to debate Iraq - how will they vote? Full marks to the Stop the War Coalition for calling an emergency protest on Tuesday from 5pm in front of Parliament. I was pleased to attend at least the beginning of the Shop Stewards’ Conference called today by the RMT Union, which took the sensible and timely decision to launch a national shop stewards’ network across all unions. Bob Crow of the RMT launched the Conference with a stirring call for rank and file organisation, although perhaps without clarity about the political organisation which we need to go alongside this. Brian Caton from the Prison Officers’ Association (POA) spoke movingly and convincingly abut the need for trade union rights which is demonstrated by the experience of the POA. Paul Mackney from UCU gave what may well be his final speech as General Secretary to such a meeting and made a point of backing John McDonnell’s campaign for Leader of the Labour Party. Barry Camsfield, Assistant General Secretary of the TGWU was obviously pleased to give the greetings of General Secretary, Tony Woodley to the Conference and called for work on the ground to build the shop stewards movement. Steve Kemp of the National Union of Mineworkers (NUM) emphasised the importance of solidarity action in the history of our movement, of which the NUM are so much a part. Jeremy Dear, General Secretary of the National Union of Journalists praised the role of his members on the Daily Star who had taken completely unlawful industrial action to prevent the publication of an outrageously Islamophobic supplement. This seemed to underline the importance of workers being prepared to break the anti-union laws if we are ever going to get them repealed (and win the battle for a Trade Union Freedom Bill). Although I had to leave (for the AGM of Labour Left Briefing) before the close of the meeting I am glad to learn that the National Shop Stewards Network has been established and wish the two UNISON comrades on the steering committee, George Binette and Len Hockey, all the best for the work they will be doing to help to build this important initiative. Who'll put the clocks back? One of the things I like about working in local government is that, as well as the poor pay and having less protection for our pensions than other public servants, we get to be subject to daft Government initiatives. Thatcher famously brought us ratecapping and abolished authorities she disagreed with. New Labour then came up with elected mayors, an idea rejected by the electorate in the great majority of places where they were asked. Never one to let the democratically expressed wishes of the people get in the way of some daft reactionary nonsense, Ruth Kelly wants to resurrect the idea. So, let’s have elected mayors for every local authority all in charge of their own time zone! Then they can all put the clocks back to wherever they want. This has all the hallmarks of current Government thinking after all, it doesn’t make sense, it won’t improve public services and it will cause chaos – but no one could say it wasn’t radical! And when Ruth Kelly achieves the political oblivion which must surely be her destiny, she can be an elected major for some poor deserted little village somewhere and put the clocks back to the Middle Ages. I’m pleased to blog this from the UNISON Greater London Regional Black History Month event. UNISON is organising events around the country to mark Black History Month and has an online guide to organising events. As I write I am listening to the GLA jazz band – the day has to be worthwhile just to see Rahul Patel, leading UNISON Regional Committee member dressed up in cultural attire. If only I had a camera! Lobby MPs to defend the LGPS! Lobbying is using your right to meet your MP as one of his or her constituents. You can do this either in your constituency or by visiting Parliament. 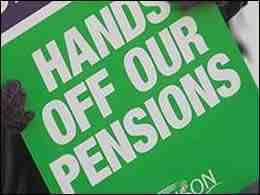 There will be a mass lobby on Wednesday 22 November 2006 to defend the Local Government Pension Scheme (LGPS). UNISON, TGWU and CYPS want as many members affected as possible to attend. With luck other unions will be coming on board. An MP should regard you as a constituent, whether you voted for them or not. MP’s are meant to “represent” each constituent’s interests. This does not mean that they have to agree with you – after all each MP has up to 90,000 constituents – but it does mean they should listen and be prepared to pass on your views to the Government. If you are disabled, please telephone the Serjeant-at-Arms’ office at the House of Commons, who will advise you of procedures for entering the building. (Phone 0207 219 3000 and ask the switchboard to put you through to the Serjeant’s office). The Serjeant’s office do allow some parking where it is required by disabled people, but individuals will need to verify this with the office. It is usual for one of your MPs’ staff to accompany you once you enter the building. You will need to arrange this with your MP in advance. Please notify UNISON (via your branch) if you have any special ambulatory needs or require any assistance. I will be attending the LGPS Mass Lobby of Parliament on Wednesday 22 November. I would very much like to meet you on that day to discuss the concerns of LGPS members who live and work in your constituency about the proposals for the future of the LGPS and protection of existing members. I would be grateful if you could let me know if you are available on 22 November and suggest a good way of making sure we can meet. I and my union are very concerned about the response by the Local Government Employers and the Local Government Association to the DCLG options for “new look” LGPS from 2008. They want us to pay more for a worse pension scheme, with less protection than other public sector workers. I look forward to your reply and to meeting you. Send this letter on or before 10 November (now is good!) and then tell your UNISON branch that you have done so and want to go on the lobby on 22 November. 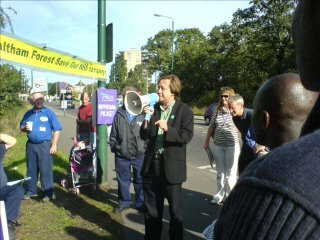 I won’t go on at length here about the important dispute in Coventry where UNISON members are taking strike action over the way their employer is implementing single status. You can read the very latest news from the dispute here. You can visit their picket line blog here. 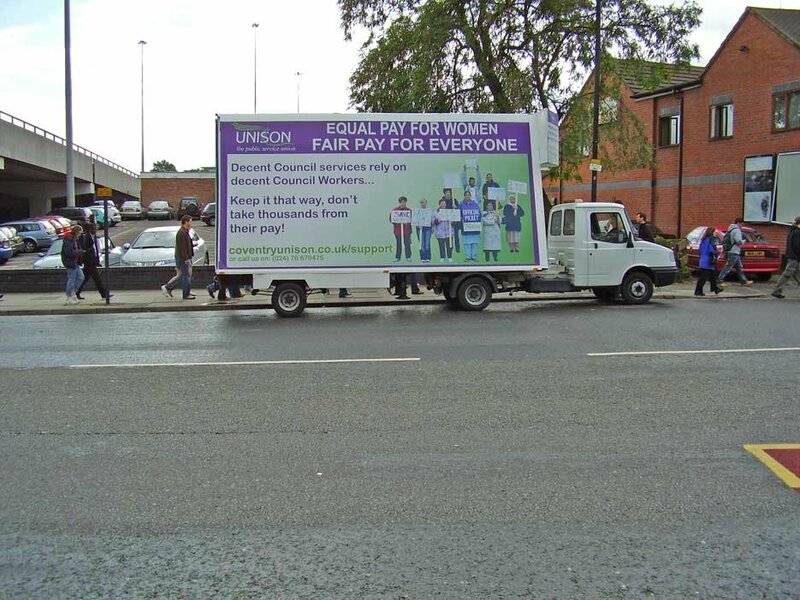 Other UNISON branches need to check out the Coventry branch request for donations here. Where are we at with local government pensions? I hope that some of these personal views about the Local Government Pension Scheme (LGPS) dispute will be published this week in Labour Left Briefing. Following the October 2005 exclusion of a million and more local government workers from the deal to protect the pensions of current public service workers, we took the largest strike for 80 years on 28 March this year. This unprecedented pan-union strike action showed that, even isolated from other public service workers, members of the local government pension scheme are a large group with the ability to take effective strike action. Shortly after the strike, and in the run up to the May local elections, the unions agreed to defer further strike action in return for a promise of negotiations. At UNISON’s local government Conference in June delegates were narrowly persuaded not to reverse this decision on the strength of the union having sought a judicial review of the Government’s alleged reliance on age discrimination regulations to justify their proposed reductions in our pension rights. Now that the judicial review has failed ignominiously and the promised negotiations have come to nothing we are back where we should have been in April, needing to step back up the pressure on the Government and the employers. Many activists are justifiably critical of the tactics employed by the small group in charge of the dispute hitherto, but these criticisms are far less important than the need to mobilise our members for future action. Activists are pressing for a special local government Conference to consider how to take the dispute forward. This is a sensible demand. It will certainly be essential that there is a Conference before any ballot of members on a new pension scheme, so that any recommendation in a ballot is decided democratically by rank and file activists. However, it seems most likely that the Government will table draft Regulations in November which will be so unsatisfactory that there will be no controversy within UNISON about the need for a further industrial action ballot. Indeed strike action looks likely early in the New Year. We need to maximise the political impact of further industrial action and it is therefore good news that UNISON is already encouraging members to engage in further letter-writing and to support a lobby of Parliament on Wednesday 22 November. We should also make effective use of our Labour Link by not only withdrawing support from leadership candidates who will not back our fight for our pensions, but by actively supporting John McDonnell, the leadership candidate with a track record of support for UNISON members and our issues. More than anything else however, we need to be preparing for serious and sustained strike action to defend our pensions. Cheerio then Clare Short. She has given up the Labour whip in order be able to speak her mind. With her track record this could lead to some interesting disagreements (with herself). I still remember the hatchet job Clare did on the excellent socialist, Liz Davies – and the fact that she managed to mislay her conscience during the Iraq war. Clare’s criticisms of New Labour are well-founded, but the place to contest these is (in my opinion) very much within the Labour Party, where a consistent socialist is challenging for the leadership. All in all then, only worth a very “short” post on the blog. Did Thomas Hobbes sum up Clare’s career? How much does Gordon Brown care for health workers? It was only the other day I was complaining here about the plans of the local government employers to offer those of us who have the pleasure of working for them a pay rise of 2% to make up for our pay falling behind increases in the cost of living. Now we learn that the Chancellor of the Exchequer wants health workers to get a miserly 1.5%. That’s well below the rate of inflation (in other words a cut in “real pay” – the purchasing power of earnings). The RCN aren’t wrong to describe this as a “slap in the face for nurses” but it is actually a slap in the face for all those whose pay is set by review bodies – and will set the tone for negotiations for the all other health service workers. So much for social partnership? (Andy Burnham told a meeting of the NHS Social Partnership Forum last week that health staff “have delivered real improvements for patients in important areas such as waiting times and the big killers. I would like to thank all staff for their role in delivering these improvements and for providing good and safe patient care”.) 1.5% of thanks to go with the job cuts and privatisation. How many more attacks must Brown launch upon us before we remember who our real friends in Parliament are? Since a small but growing number of UNISON activists in Greater London are reading this from time to time, I’ll tell you what happened at the meeting. First, we agreed a budget for next year – and it emerged that we have yet to spend any of the £3,000 set aside this year for bursaries for UNISON members in the Region undergoing courses of study relevant to the union movement. A circular has gone out to branches at some point – if you are a UNISON member in Greater London and want to find out more, ask your Branch Secretary, who can get more information from Regional Education Officers, Les Perkins and Martin Smith. The Committee agreed to start charging branches for lunch on training courses where this is provided. The cost is only £7.50 per head a day and this is necessary in order to avoid overspending on the budget from HQ to run training courses. We get a smaller budget per capita than other Regions because (obviously) we don’t generally need to provide for residential courses – since we all manage to travel from home to work in Greater London there is rarely good cause for a London Region activist to need accommodation in London to attend a meeting or training course (there are of course exceptions for branches which organise nationally before anyone points that out to me – and special circumstances may sometimes apply). We therefore need to charge branches for lunch (but this does mean that they won’t need to pay subsistence expenses claims to their members attending courses!) If you want to download the current training course prospectus (which will take a little while as it is more than one megabyte) then click here. The Committee also had a full and lengthy debate about the development of the Union Learning Agenda and agreed to put current workplace learning agreements on the Regional website and to ask Regional Service Group Committees to encourage branches to develop their work in this area. There are considerable opportunities to recruit and organise our members through work on learning, but examples of good practice are fewer than we would like. Branches need to give some priority to coming to formal agreements with lead employers in order to drive this work forward. The meeting also considered a verbal update on the contribution made by our education team to work being done to organise migrant workers. In particular we commended the excellent work being done around our unique provision of workplace courses on English for Speakers of Other Languages notably with members working in the privatised sector in the Westminster local government branch, where leading Regional Committee member Rahul Patel (co-Chair of the Regional Diversity Forum) is Branch Secretary. Finally, as an item of any other business, Regional Education Officer, Les Perkins shared the welcome news that the Region is to develop a training course for reps dealing with capability cases. Given the recent worrying news from OFSTED this comes not a moment too soon! Full marks to Committee Chair Christine Bailey who got us through the agenda it time for me to have lunch (and blog). 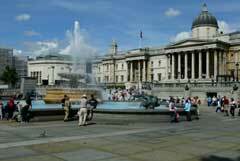 Congratulations to PCS members at the National Gallery who took strike action yesterday. Staff are angry about management's plans to impose changes to contracts including withdrawing the three days holiday they receive in exchange for working Christmas Day, Boxing Day and New Year's Day and replacing this with two days unpaid leave. The warders, who protect one of the finest collections of paintings in the world, are among the lowest paid in the culture sector, earning as little as £13,562 a year with many earning a basic rate of pay of just over £6 an hour. While they are preserving the nation’s treasures they are hardly treasured themselves! As part of their continuing campaign the staff will be staging walkouts every Wednesday from 6pm to 9pm, so those of us who work nearby in Central London should be able to get along and show some support! If anyone doubts the importance of looking after art treasures properly have a look at today’s news…! Are we going to return to the debate around election of officials within UNISON? The current review of UNISON structures provides an opportunity to think seriously about many issues. Our comrades over at AMICUS Unity Gazette have published a cogent justification for their position in favour of election of union officials. I think that there is a compelling argument in favour of the election of all those officials who negotiate on behalf of trade union members, and that UNISON does not benefit from the fact that we appoint rather than elect all our officials other than our General Secretary. One possibility within UNISON would be for branches and members who favour the election of officials to comment in response to question A5 on the UNISON consultation document to point out that one form of flexibility which would be possible would be to pilot the election of officers. Of course the current UNISON leadership will not entertain this possibility of electing officials. Indeed sustained effort will be made to exclude even the possibility of debating this issue at our Conference. If we want to have this debate we need to think seriously about how to jump the procedural hurdles which we know will be put in our way. If anyone out there thinks we should be continuing this debate then please get in touch! Help! Our health service is in the charge of someone who is clearly not of this planet. Patricia Hewitt has today said how well the Government is doing in improving the health service! Geoff Martin knows what health workers think about this nonsense. You don’t get 7,000 people demonstrating in Haywards Heath because everyone is so chuffed with the Government’s stewardship of our health service! We need to get along to lobby Parliament on 1 November in order to express our opposition to cuts and privatisation in the health service. This is not just an issue for health workers, and all trade unionists should support the lobby. The union movement also needs to go beyond fighting attacks on public services sector by sector. We need to support a unified campaign against privatisation across all our public services. I am pleased to report that I have finally got round to sorting out the UNISON branch blog for Lambeth UNISON – so we are only a couple of months behind those trailblazers in Barnet branch. We may not have quite as much activity to report as Coventry branch just at the moment, but I hope we will find a blog a useful organising tool. Just when you think the Government cannot do anything more foolish and illiberal than they already are – they come up with this! According to proposals drawn up by the Department for Education and Skills, ministers are to ask higher education staff to spy on "Asian looking" or Muslim students, informing special branch of anyone they suspect of being involved in Islamic extremism. Do they not remember having passed the Race Relations Amendment Act and giving public bodies enhanced duties to oppose such blatant discrimination? Public servants have enough work to do delivering services that make a difference to people’s lives, without being roped in to this racist witch hunt by New Labour in its dangerous dotage. With this sort of rubbish promoted by the Government it’s no wonder that, as UNISON Conference noted this year two-thirds of incidents of religious hate crime are targeted at Muslims, and surveys produced in the last two years have revealed that nearly 80 per cent of Muslims in the UK have experienced discrimination because of their faith. Full marks to Paul Mackney of UCU for opposing this nonsense. Having just posted about something radical and fun, I thought I should resume normal service on the blog. UNISON activists need to be aware of the current consultation on the review of branch and service group structures. A recent survey of UNISON members indicated that members needing their union were most likely to approach a local workplace rep (a shop steward) and that those seeking the help of the union were most likely to be satisfied with help from their shop steward. At present the Union organises shop stewards primarily through our branch structures. The consultation document (linked to above) asks a series of questions. Regions are being asked to coordinate consultation, but there is nothing to prevent branches responding directly. The results will be considered by the project steering group, who will make recommendations to the NEC’s D&O committee. A report will be prepared, on behalf of the NEC, for national delegate conference 2007. The deadline for the current consultation is 31 December. Mark Thomas - see him if you can! I’ve just come back from seeing the excellent Mark Thomas. He has taken comedy and grafted it onto political activism in a totally brilliant way. He has applied comic genius to the Government’s absurd restrictions on the right to protest outside Parliament. You can join in monthly mass protests of individuals each registering their own individual demonstration with the Police – the details of what to do are here. I am certainly persuaded to find time to join in this essential protest. Some of those who spend so much time arguing on the blogosphere may need to get out a bit and should come and join in! (Thanks to this blog for the photo above btw). Mark also did a routine about his trip to last year’s arms fair, and about the evidence he gave to Parliament about illegal arms trading. Although you might think that there is something unfunny about a world in which it takes a comedian to enforce legal restrictions on arms trading, I came away laughing. I may even buy the book! Coventry UNISON are blogging from the picket line in their dispute over single status. That seems to me to be a good example of the movement being prepared to “upgrade its employ of cutting-edge Information and Communications Technology tools (ICT)” as recommended over at the Union Ideas Network. Good luck comrades! 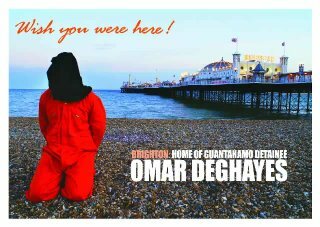 UNISON was quite rightly affiliated to the Guantanamo Human Rights Commission. This week confirmed some bad news for those of us who care about human rights. As you can see at the Save Omar website, the courts have ruled against an attempt by the families of British residents (but not citizens) kidnapped and held by the US at Guantanamo Bay to compel our Government to stick up for these victims of the unlawful and unjust conduct of the US. Of course we now know that this was a bit academic because in fact the Government have been refusing to accept these British residents even though the US may now want to let them go! As Amnesty International have said, the court decision does not absolve the Government of its obligation to take action. Trade union activists need to be to the fore in protecting civil liberties, because every infringement of our liberties will always be turned against our movement. “On 7 September, Tony Blair and Education Secretary Alan Johnson visited Quintin Kynaston school in north London to announce the first wave of 28 "trust schools" run by business, charitable and religious organisations - of which QK will be one of two in London. They were met by a demonstration, supported by Unison and NUT locally and School Students Against the War, and composed mainly of students from the school, expressing opposition to government policy on trust schools, privatisation and the wars in Iraq and Lebanon. The initiator of this demonstration, QK classroom assistant Robin Sivapalan, has now been suspended from his job for "insubordination" and "breaching confidentiality" by informing people of Blair’s visit. The attempt to victimise Robin is an attack on freedom of speech and the right to protest. We are not prepared to see public service trade unionists silenced when they dare to express opposition to government policy. To see the full (and impressive) list of those supporting this campaign click here. Robin is fortunate to have the support of the Westminster branch of UNISON and his Branch Secretary, Rahul Patel, one of the strongest fighters for workers rights I know. Local Government Pay 2% No Thanks! 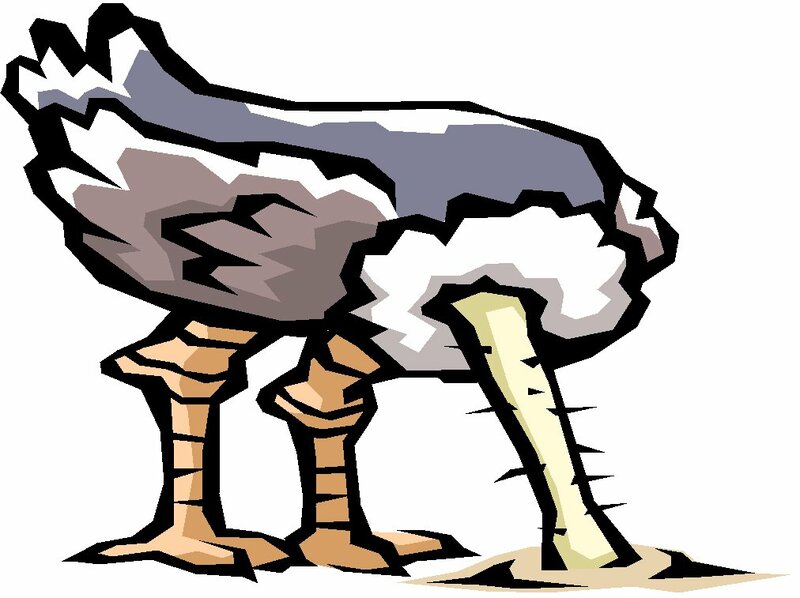 I wouldn’t want anyone to think that any of the Councillors at bloggers4labour had leaked supposedly confidential briefing information about local government pay to the trade union side – but if they had it would hardly have mattered as it doesn’t reveal any state secrets. Local Government workers haven’t been doing that well on pay recently. The third and final payments of the 2004 three-year settlement for local government services' staff took effect from 1 April 2006. The increase to all pay and allowances for 2006/07 was agreed as '...2.95 % or the rate of RPI at October 2005, whichever is the greater...'. The October 2005 RPI figure was 2.5%, so we got 2.95% this year. In the year to August 2006, the consumer prices index (CPI) rose by 2.5 per cent, up from 2.4 per cent in July. In the year to August, the all items retail prices index (RPI) rose by 3.4 per cent, up from 3.3 per cent in July. Over the same period, the all items RPI excluding mortgage interest payments index (RPIX) rose by 3.3 per cent, up from 3.1 per cent in July. So by two out of three measures of the cost of living price rises are now outstripping our most recent pay increase, meaning that our real incomes (the purchasing power of our wages and salaries) are falling. The employers will probably start the 2007 negotiations with a 2% pay offer in line with guidance from the Government. They are only looking for a one year pay deal because they want to sort themselves out for a much heavier negotiating round for 2008, therefore they will go beyond 2% in negotiations to try to avoid national strike action over pay. Well it looks like 4% will be the going rate in the private sector. If we don’t get a decent offer (I hope with a significant flat rate element) then the trade unions have nothing to fear from strike action – our members want to see us fighting over pay and when we do the evidence is that, as in 2002, we grow. If we don’t put up a strong fight over pay in 2007 we will start on a back foot when the employers try to get an early three year deal from 2008 in line with the Comprehensive Spending Review 2007. I don’t doubt that they will be coming back to some of their old favourites and trying to undermine our conditions of service. And that’s before they try to increase our pension contributions! I agree with the protesters in Manchester last month and with UNISON policy against the Iraq war and that it has been a humanitarian disaster. But why am I uncomfortable with a senior army officer speaking out against Government policy? Of course the political fault lies with the politicians who backed the war – and the solution is to replace them with consistent opponents of the war (as well as to withdraw the troops). We don’t need to be led by someone who backed the war to save his job. The Government and Parliament are at fault for taking us into an unlawful war and we need to keep up the pressure on them to bring the troops home now. Lobby Parliament to defend the LGPS! I was pleased to be able to speak to a well attended meeting of the Hammersmith and Fulham UNISON branch and let them know the breaking news that we are organising a lobby of Parliament on Wednesday 22 November as part of the campaign to defend the Local Government Pension Scheme (LGPS). I understand that an official circular to UNISON branches is going out now. Although we don’t yet know what the Local Government Association, representing the employers, will be saying to the Government – as they have an extension until tomorrow to get their comments in – and we don’t know what proposals the Government will make for sure – it is nevertheless clear that we face the prospect of a worse deal than other public service pension schemes and proposals to make us pay more for that worse deal. Debating the industrial action which we will almost inevitably have to take to defend our pensions. This debate needs to take place now. Branches should also think about organising meetings for all members for early December as an important part of rebuilding momentum for a ballot for strike action in the New Year. A meeting of members of the UNISON NEC and of the Local Government Service Group Executive representing the Greater London Region today agreed to urge branches to support calls for a serious and sustained programme of all out strike action starting with at least a two day strike and escalating to further and longer periods of strike action. I don’t think a single one day strike will be a serious response to this attack – and I don’t think we should be messing about any longer with deferring action. If we start this fight we should carry on to win it. It would be fair to say that the inaugural meeting of the Greater London Employment Forum (GLEF) lived up to its promise (since it didn't have much). The trade unions turned out a fairly full team, but on the employers’ side only thirteen of the thirty two boroughs were represented at a body the purpose of which is (according to its constitution) “to provide a forum where London employer and employee representatives can meet to discuss and debate employment matters of concern to the London authorities and their workforces”. It wasn’t just a Tory boycott, Councils of various political hues were not represented at the meeting – how can we debate and discuss with local authorities who fail to attend??? The slightly unreal nature of the meeting was reinforced by the implausibly upbeat reports from the employers’ side on the issue of negotiating on single status. The employers’ side Conservative Chair, Councillor Angela Harvey from Westminster gave a very optimistic overview, reinforced by a similarly positive report from the Labour Vice-Chair, Councillor Christine Bowden from Newham. The UNISON representative from Newham, Irene Stacey, made a point of singling out her employer for praise. It was left to union side Vice Chair, David Eggmore of UNISON and Chair, Justin Bowden of the GMB to point out that things might not be quite as rosy as the employers thought and that the unions were preparing for legal action against employers who failed to comply with their obligation to complete a pay and grading review by 31 March next year in order to deliver equal pay and single status. Elsewhere in the country this issue has already led to significant industrial action (for example in Coventry). As I have blogged here before, the unions are preparing a protocol whereby we will work jointly to collate information on the progress of local negotiations and decide which local authorities to target for litigation. As well as discussing single status, the meeting considered issues to be debated at future meetings – if we debate other vital questions such as the Local Government Pension Scheme or the Race Relations Amendment Act I only hope more of the 33 local authorities entitled to attend the meeting can bother to turn up! Tomorrow I am off to a meeting of the Greater London Employers’ Forum (GLEF) – the new joint body bringing together representatives of the London boroughs and the recognised trade unions. The GLEF is accompanied by a smaller body – called the Greater London Provincial Council (GLPC) which will handle the actual negotiations, while the GLEF will just be a consultation forum (or “talking shop”). Confusingly the GLEF corresponds to an earlier body also called the GLPC. The former GLPC was collapsed by the employers side when they walked out of the negotiating body in order to sabotage an attempt by the trade unions to get the long running dispute over London Weighting referred to arbitration. This followed a programme of selective and all-out strike action. The union has also pursued political lobbying in support of our demand for an increase in London Weighting. The challenge for the trade unions is to use the new bargaining machinery to force the employers to address the issues of concern to our members – including the outstanding question of London Weighting, but also (for example) the issue of institutional racism in the workplace. Tomorrow’s meeting will choose topics to discuss at forthcoming meetings. I’ll post a report later. The UNISON Greater London Regional Committee met yesterday and, as is customary, spent three hours struggling to get half way through our agenda! Important decisions included the decision to move the date of the next meeting of the Regional Council (due for 1 November) in order to encourage attendance on that day at the rally and lobby of Parliament being organised under the banner of NHS Together. This was a very sensible decision which I argued for as a member of the National Executive. It does mean that we will have a problem getting a quorum of delegates to a meeting for which we have had to change the date. We were advised that the quorum at the time of the last meeting had been 99 and we had fallen just two delegates short. The quorum fluctuates as delegates are elected or resign, but we will need more than 100 people present if we are to transact business. I think the Regional Committee made a good decision which should help with the quorum by deciding to invite UNISON member John McDonnell to speak about privatisation. John has been in the news a bit because of his leadership bid, but the reason for the invitation is his exemplary work in opposition to privatisation of public services. The Committee was advised that it might not be appropriate to invite John to a meeting on a number of grounds, but decided to invite him anyway. Full marks to John McDonnell for blowing the whistle on attempts to pull punches in the fight to firm up the Government’s appallingly weak corporate manslaughter bill. He reports that he heard yesterday that the line coming from some senior members of the Trade Union Group of MPs in Parliament is that some want to draft amendments but not push them to the vote in Parliament. That won’t do. There is no point having trade unionists in Parliament if they don’t fight for trade union policies. All union linked MPs should be following the example of Katy Clark MP and working with Families Against Corporate Killers, who are protesting at the Commons today. Of course it is more scary to live in a world in which yet another state has probably acquired nuclear weapons capability. Mind you, I am struck by the hypocrisy of much Western comment. In spite of the non-proliferation treaty our Governments' seem to think it is OK for us to retain the power to blow up the world - we just don't want anyone else to have it. Of course we don’t want a Government with an unpopular leader, riven with dissent, and facing mass opposition over their ability to sustain basic public services, building up its nuclear capacity. So the UK should drop plans to replace Trident and get on with nuclear disarmament ourselves. Then perhaps we should try a little regime change of our own? Congratulations to the strikers at Whipps Cross Hospital in East London who on Friday accepted a settlement in their dispute, which gives them 90% of what they were striking for. This was a vitally important dispute in which a group of low paid hospital workers took on a vast multinational corporation and compelled the employer to honour commitments entered into by a previous contractor. This dispute demonstrates that whatever warm words we hear from Government ministers, it takes the courage and determination of rank and file trade unionists to tackle the scourge of the two tier workforce in our privatised public services. The point of privatisation is to extract profits from our public services at the expense of either users (through higher charges or service reductions) or – more usually – of staff (through cuts in pay and conditions). The more we can enforce parity of pay and conditions between privatised and public sector workers the more we can squeeze the profits of the privateers and send them packing. Strike action at NHS Logistics may have come too late to prevent their privatisation to DHL – but we have to campaign to bring that service (and all others) back in house. The trade unions need to look to our allies in Parliament for support and stop providing any assistance to our enemies. The Whipps Cross strikers showed exemplary dedication to their cause and received excellent support from their local union branch and from UNISON officials as well as from other UNISON activists. This is an example of trade unionism at its best and it provides an important lesson that struggle is worthwhile – why not Email your congratulations? The dispute over the Local Government Pension Scheme needs to step up a gear following the disappointing (if hardly unexpected) outcome of UNISON’s application for a judicial review. As I blogged here earlier, UNISON’s National Executive Council has refused to endorse a call from our Local Government Service Group Executive for a Special Conference to discuss the dispute. This request has instead been referred to the Service Group Liaison Committee of the NEC. "We request a Special Local Government Group meeting to discuss the current situation in the Local Government Pension Scheme dispute." The Regional Local Government Committees in both Yorkshire and Humberside and London have endorsed this proposal and are urging branches in their Regions to get on board. Many other branches have also supported this proposal. Branches in the local government service group who wish to support this initiative have until 13 November to agree the same motion and send it in to national office (Heather Wakefield, Head of Local Government, UNISON, 1 Mabledon Place, LONDON WC1H 9AJ). If branches representing more than 25% of the membership of the local government service group have done this by the deadline, the Rules require that a special conference be convened. Whether or not that target is reached it is important to keep up the pressure for democratic control of this important dispute. Branches should also lobby members of the National Executive Council to put pressure directly on the Service Group Liaison Committee to agree to permit the Local Government Service Group to have the special conference it has voted for. We certainly need to have a Conference prior to any ballot of members on a new pension scheme – if, as seems more likely, nothing emerges in the next few weeks that is worth balloting on, a Conference could still be a useful element in the campaign of industrial action we need to be organising. We have to discuss now what form our industrial action should take. Single days of strike action don’t look like they’ll do it – perhaps we need to aim higher – starting with two consecutive days of strike action and rapidly escalating to a longer strike? Geoff Martin of Health Emergency has hit the nail on the head by comparing the tidal wave of protests against Government health policy with the movement against the poll tax. There are thousands of people mobilised to defend the greatest achievement of any Labour Government – our National Health Service. 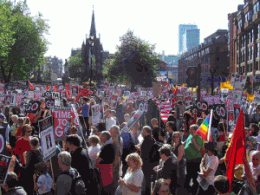 The protests are being co-ordinated by Keep Our NHS Public as well as through the trade union campaign – NHS Together. The challenge which faces trade unionists and Labour Party members – indeed all those who want to defend our health service from cuts and privatisation is to step up effective political pressure on the Government. That is why it is so important that there is a contender for the Labour Party leadership who is speaking out in defence of our Health Service. John McDonnell is right to warn that Labour risks losing many seats at the next election – the policy changes for which John is calling, in line with trade union policies, are essential if we are to save both our Health Service and the Labour Party itself. Towards the end of a long meeting today of the UNISON NEC, under the General Secretary's report, the NEC considered how UNISON had intervened at this year's TUC and Labour Party Conferences. The Chair of Policy reported from the TUC and defended the running of the delegation from critics (myself included) who were unhappy that we had learned of our policy to abstain on a statement from the General Council when it was announced from the platform – and that three delegates had been sent home for walking out on Tony Blair although there had been no delegation decision about what to do when he spoke. The President announced that the latter was under investigation and we could not discuss it (which seems to me regrettable and unnecessary). The Chair of Labour Link reported from the Labour Party Conference at which we and other unions had won a number of important victories, crucially on the National Health Service. I asked the General Secretary to comment on reports that he had welcomed the speech by Gordon Brown and pointed out the far more critical comments made by Kelvin Hopkins MP, co-Convenor or our Parliamentary group. Dave told me I had misquoted him. My mistake obviously! Today’s meeting of the UNISON NEC agreed its response to the Standing Orders Committee (SOC) on the review of this year’s Conference. I queried why the NEC was supporting Conference closing at 4pm on the Friday afternoon and the President clarified that what was meant was that Conference business should go on until 4pm and that the closing ceremonies would start then. Branches may need to be alert to question the first or second report of SOC at next year’s Conference in order to ensure that we maximise the time available for debate – the annual survey of Conference delegates showed that almost 90% of delegates value the motions debated at Conference and believe that they are relevant to them and to their members. Democrats within UNISON will recollect that there are those in the leadership of our Union who favour biennial rather than annual Conferences but, knowing that they could never win this, tried instead to eliminate the democratic process of reprioritisation of business on Friday afternoon. Having failed even in this they now hope to squeeze out reprioritised business. The price of trade union democracy is, I am afraid, eternal vigilance! Today's meeting of the UNISON NEC discussed a number of issues of particular relevance to our members in the Health Service. The meeting received a brief report of the forthcoming ballot of members on the recommendation from the Health SGE to support proposed changes to the NHS Pension Scheme. UNISON is the only Union balloting our members on this. Ballot papers go out on 23 October with a closing date of 10 November. The NEC received a report on the two days of strike action at NHS Logistics, described by the Head of Health as a “heroic attempt to bring to the attention of the public” the problems posed by privatisation in the health service. The strike had been well supported by members (although in later debate we were told that the support had not been universal across all five branches). Dave Prentis explained that the members had always understood that the strike action would be unlikely to prevent the privatisation of the service to DHL and responded angrily to suggestions from local government NEC member Glenn Kelly that the Union had let the members down by not commencing industrial action sooner. Dave Prentis gave a verbal report on the successful launch of NHS Together and of the forthcoming lobby of Parliament on 1 November. He made clear that the Union does want all our members to turn up on the day and support the lobby – albeit the priority is that health workers should get to meet their MPs so other members should not squeeze them out in terms of actual lobbying. The Greater London Regional Committee will have to take into account the views of our General Secretary about this when considering whether or not to reschedule or otherwise amend arrangements for our Regional Council on 1 November. Anyone in UNISON who has been suggesting that the lobby is for health workers only has obviously been “off message” and needs to take note! There was a lengthy debate at today’s meeting of the UNISON NEC around a thorough report from the Head of Local Government about the dispute over the Local Government Pension Scheme (LGPS). There were thirteen speakers and the main controversy was over the request from the Local Government Service Group Executive (SGE) for a special Service Group Conference. On the one hand a minority (myself included) argued strongly in support of the position of the Local Government SGE, whilst a majority supported the recommendation of the Presidential Team that the matter be referred to the Service Group Liaison Committee (SGLC). The SGLC is a small Committee of leading NEC members and representatives of the various Service Groups – since there is equal representation for each Service Group the larger service groups are under represented in proportion to membership. I opposed the Presidential Team recommendation because I was – and am – critical of the tactics we have employed in this dispute. We suspended industrial action in April in return for negotiations which – according to the report we saw today – have not been undertaken in good faith by the employers. We decided not to recommence industrial action in June because we were urged to wait for a legal challenge which now appears – albeit with the great benefit of hindsight – to have been fundamentally misconceived. All of this flows from the decision of our Union to be party to a deal on public service pensions from which the LGPS was excluded. On balance I would rather trust a Conference of branch delegates to run this dispute and I welcome the call of the Local Government SGE for such a Conference. About ten of us voted against the Presidential Team recommendation, and a large number of members abstained, but a majority agreed to refer the question of a special Conference to the SGLC. Since the SGLC and its pensions subgroup have been responsible for the tactics thus far in the LGPS dispute I was not persuaded that this was a wise course of action, and I remain unconvinced. In London we will have to think on this at Friday’s meeting of the Regional Local Government Committee. The UNISON National Executive Council (NEC) meeting today received a detailed report on Equal Pay. In fact we received four reports, about two of which I would like to say more (but then I would have to kill you!) (seriously – two of the reports are confidential and legally privileged so I am not going to refer to them here. NEC members asked that an official summary be provided in the “News from the General Secretary”). If any London UNISON branch wants to discuss this with me privately call me on my UNISON number 07957505571 or Email me at j.rogers@unison.co.uk. Branches should have received some detailed guidance in the very recent past (look out for Equal Pay: negotiating strategy and guidance for local representatives) – you need to have a look at this! I suggested that we organise Regional briefings on equal pay (on the model of the meetings organised about pensions over the past year or so) and I hope that that idea will be taken up. I expect this will appear on the website soon either here or here. The Employment Appeal Tribunal will hear the appeal by the GMB against the ruling of the employment tribunal in Allen –v- GMB in January and any documents produced by the Union could be discovered and used in that case – which is why reports of our discussions have to be cautious. The other report which is in the public domain and about which I can report is a joint union protocol which has been agreed between the “big four” and which deals with how we handle equal pay litigation in local government. Regional officers are to be instructed to provide progress reports by the end of October so that the unions can assess progress in pay and grading negotiations across all local authorities. The intention of the protocol is that the unions will work together and agree not to “poach” members around equal pay litigation (a problem which has clearly arisen in some parts of the country). The protocol will be issued from the trade union side of the National Joint Council in the next few days and local government branches should look out for this. Why it is fun to be on the UNISON NEC! Tuesday was one of those days that remind me why I like being a member of the UNISON National Executive. Although I spent the day at work, like more than a million other members, I was able to address two meetings, one at lunchtime and one in the evening. At lunchtime I was invited over to the Southwark branch to talk about the pensions dispute in local government. Thanks to the intransigence and pig-headedness of the employers and Government this is now looking like further industrial action. However, we have to acknowledge that there have been a number of serious tactical blunders on the trade union side. I hope Wednesday’s meeting of the UNISON National Executive will discuss how to remedy the defects in the running of the dispute which have led to these blunders. Whether I am right to hope this, or am just a hopeless optimist I have no doubt that time will tell! The key thing that I took away from the meeting was that our members are willing to take further strike action but want to know that the leadership has confidence in their determination, which means no more token one day strikes! This evening I addressed a public meeting against privatisation organised by the Islington branches of UNISON and the NUT. I was particularly happy to share a platform with John McDonnell, the only declared candidate for Leader of the Labour Party. What I enjoy about supporting John’s principled socialist politics is that I can back him with a smile, whilst all those supporting other contenders for the leadership within our Union can only do so through clenched teeth. There was much support at the meeting for John, and for the Public Services Not Private Profit Campaign. I am looking forward to Wednesday’s meeting of the UNISON National Executive at which I may just speak my mind. Yesterday’s UNISON Greater London Regional Policy Day had its moments. I participated in a workshop on the Union’s tackling racism project. This is a nationally coordinated project being piloted in a small number of union branches which aims to explore how to use the duties of public sector employers under the Race Relations Amendment Act to promote the interests of our members and challenge institutional racism at work, building upon the existing guide for UNISON branches. Public authorities have wide ranging duties to publish monitoring information, from which trade unionists can draw evidence of institutional discrimination. Some employers go beyond the legal minimum and publish extensive data on their equality performance (Lambeth Council for example). Where employers are producing this information the challenge then is to work out what to do with it. There was some debate yesterday about whether we ought not already to be setting some targets and objectives in order to negotiate on them with the employers. Where for example (as in the latest figures produced by Lambeth) it appears that white job applicants are more than three times as likely to be successful as their black counterparts, while internal promotions also seem to go disproportionately to white staff, unions and employers need to find ways to work together constructively to address this disadvantage. As the Southwark Branch Secretary pointed out to me yesterday, branches don’t need to wait for the national pilot project to get on with the job of tackling racism in the workplace.